When the book, Fa la la la Felt came out, I was delighted with it. I've never really had a huge desire to write my own book, but this was the kind of book that I would have loved to have been a part of. 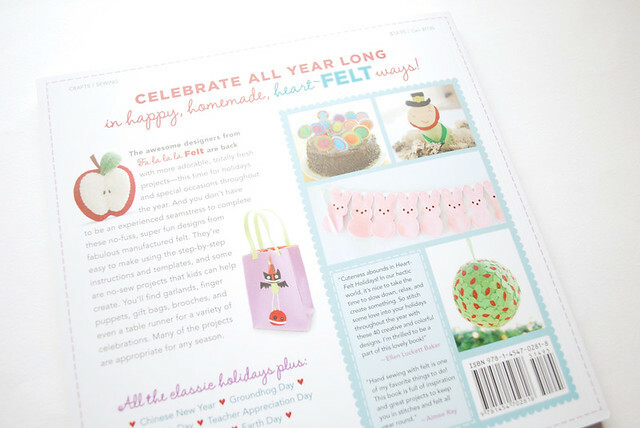 So, you can imagine the squeal that I squealed when, last year, I received an email that Lark Crafts was putting out a new book called Heart-Felt Holidays...and they wanted to include one of my designs! Look familiar? Yes, it is the Seeing Shadows Phone Case that I designed, but now with official templates and a few improvements. I'm so happy to see him there on the pages of this lovely book. 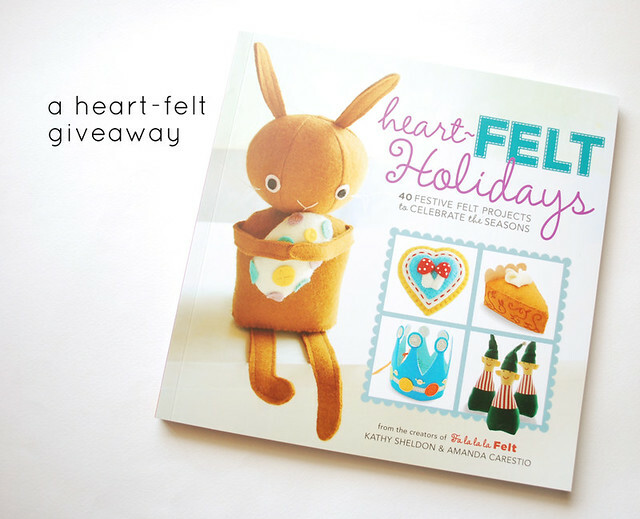 And I'm not just saying that because I'm a part of this...Heart-Felt Holidays really is a stunning collection of felt crafty goodness! My family has been passing it around, oohing and ahhing at every project. Truly, I love every single thing in here, and will now be getting busy with some felt crafting! Thank you so much to the fine folks at Lark Crafts for inviting me to celebrate the joys of felt with them! 1) Leave a comment with your favorite holiday (mandatory). Be sure to leave a separate comment for each entry. I can only count entries that each have their own comment. This giveaway is open to anyone, anywhere (unless you're in one of those places where this sort of thing is prohibited). my favorite is halloween, i love getting dressed up! My favourite holiday has to be Christmas. So many crafting chances and so many lovely things to make! Christmas is my favourite now I have children...the joy! My favorite holiday has always been Christmas, but since I have to celebrate it without my boyfriend I prefer Easter now! On Easter there is often beautiful weather and I love the tradition of looking for your presents. Christmas, hand down I love Christmas! oh wow Mollie - that's exciting - congrats! And thanks for the giveaway... I love Christmas of course... all the sights and sounds, but most importantly, our Saviour! I would love to win a copy of this darling book! So much goodness to make. 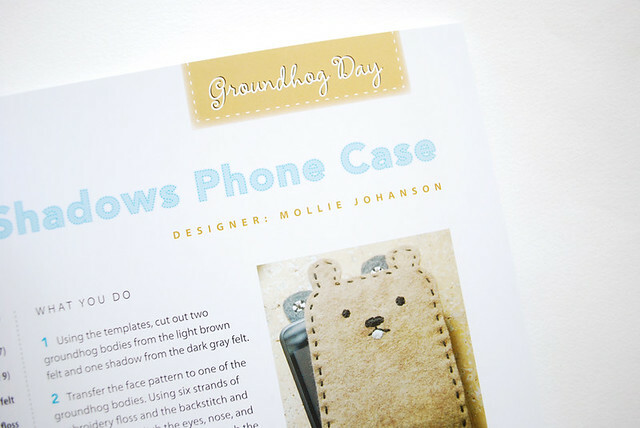 Such a darling book with such darling projects! My favorite BIG holiday is Christmas because it's such a magical time of year, filled with love and family. The 4th of July is a close second though, because it involves hot summer nights, watermelon, cook-outs, fireworks, and friends. Count me in, Mollie!!! Thanks so much for the opportunity! Congratulations on your project being in there...how awesome is that??? Mr/Ms Groundhog is adorable!!! I read every one of your posts...love your blog! I'd choose Easter and spring! My favourite time of year!! I have been waiting for this book to come out! It has been on my Amazon wish list since December! My favorite holiday is Thanksgiving. christmas is my favorite holiday! love getting together with my huge extended family and (trying to) make handmade gifts for them all! My favorite holiday is definitely Thanksgiving. Family and food are hard to beat! Christmas is my favourite holiday. Food, family, ornaments... everything!! I would have to say that my favorite holiday is 4th of July. We have a big family cookout and all our friends and family come together to enjoy the weather and having fun. I love your little felt case! Congrats on the inclusion into this book! Oh this book is too, too cute! Halloween is my very favorite holiday. Oh my goodness, is that a bunting of Peeps?!!! Very cute groundhog! My favorite holiday is Thanksgiving. All the family of Christmas without the stress of presents. Thanks for the giveaway! My favorite holiday is Halloween. I love the costumes and the colors. And I just wanted to say congratulations!! I love your contibution and congrats on being in this great book! thanks for the giveaway. I am a follower whose favorite holiday is 4th of July! My favorites hollidays is Christmas hollidays! I'm always looking forward for that period. It's not a stress ut a pleasure to think aout the present to make! My husand family, is a large one the younguest child is ( now) 3 months old so next christmas he will be nearly one and the oldest person are my parents in law: so there is planty of ideas to think, ut very various! 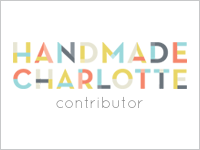 The fisrt think I do is to think aout somethink to create( stich, sew, paper craftetc..)I 've got now a new source of inspiration with yyour blog! well, it's never a stress ecause I love thinking about present and making them. For the rest, it's an activity we pratice in couple my husand and I. We try to find a present for each that fits to the persons. So It's an occasion to think aout the activities and interest of the families. As we "follow" this y phone, or internet, faceook, it's not difficult. Anyway, christmas hollidays are a way to express my creativity and imagination. Even, when we are thiniking about which meal to cook. Chrismas dinner is the occasion for the family to create a whole meal as a team, we talk aout a lot, y mail, or facebook! This chrismas we cooked some multicolored verine. To sum up, I would say that Chrismas hollidays are the time to really think about falmily, to rememer what they like or dislike and try to create gift. We share all that preparation together. Christ mas hollidays are really family hollidays. The Day of the Dead is my favorite holiday. I think that counts as a holiday. my favorite holiday, hands down is Halloween! I may be trivial, but my favourite holiday is Chrismas! I so do love the lights... and crafting presents and painting cards and backing biscuits with my lil' sister! My favorite holiday is Thanksgiving, I love the smell of the house, food more food and being with family. my favourite holiday is St Patrick's day, because i'm 100% irish living in USA. :) i claim the right to celebrate like crazy!!! but really my ultimate favourite is Christmas because everyone is so happy and in the same spirit. I am a volunteer in an association which teach and share various activities to people in my neighourhood. I am showing a craft activity each month! 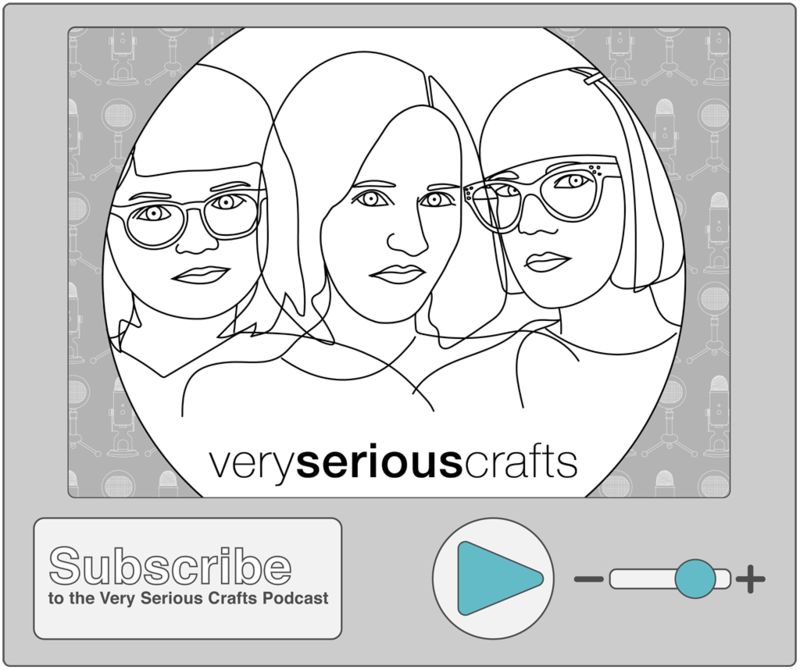 I intend to propose a craft with felt. I wonder if you agree that I use some of your tutorials in that group? My favorite holiday is Halloween, although I have started to love all of them more as I have gotten older. My favorite holiday is Christmas but I also love July 4! I think my favorite holiday is Christmas...but my kids' birthdays are a close second. And congrats on being included in the book. How exciting! 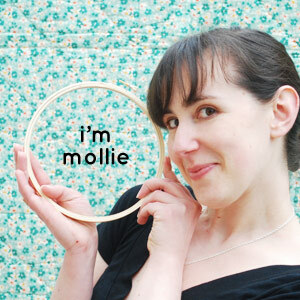 Hurray for you, Mollie! It's always so wonderful when good things happen to great people!! Favorite holiday is Christmas- but it really is the whole holiday season, from Thanksgiving all the way thru the New Year- it's all the crafting- presents, cards, goodies for friends and family, tree decorations, house decorations,etc. - and the holiday music that we play all day long! And there are so many celebrations during this time - Hanukkah, Kwanzaa, St. Lucia Day, etc.- Just a fun, happy time! Thanks for giving away this book! 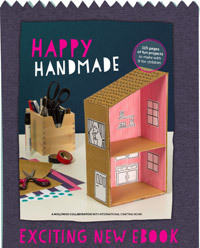 Lupin Handmade is also in this book, another favorite blog at bugsandfishes.com !! Have a Happy Monday! My favorite is Easter...mosting becuase I just love that time of year...Spring. I am so happy for you! It must be great to see your work valued so much that others want it published. When you started this blog I bet that you never imagined that it would become what it is today. OK, I haven't met a holiday that I didn't like - I enjoy them all. If I win will you autograph my copy? And if I don't, where will I be able to purchase one that isn't on-line? Woohoo! My favorite holiday is Christmas because it lasts so much longer than one day. Christmas is my favorite. I try to keep to the liturgical calendar, too, meaning Christmas does not start until after Mass on Christmas Eve, and does not end until the Sunday after Three Kings Day (so I'm the dork watching Christmas movies long after everyone else stopped). Congratulations, how exciting to be in a book!! My favorite holiday is Christmas, I even had a Christmas wedding! My favorite holiday is birthdays...does that count? I have a special post up about my dad on my blog right now, so I will try to remember to put you on there in a couple of days. So very happy for you and your book! My favorite holiday is Christmas. All of the anticipation (advent) & gift buying & giving. Fun, fun, fun! Halloween. So many different themes (scary, cute, harvest). my favorite holiday is halloween by default. october is my favorite month. christmas comes in a close second though! Fun giveaway, this book looks precious! book! thanks for the chance to win!! Congratulations on being featured in the book! I love Christmas! It always brings back so many childhood memories! Looks like a fun book! 25th May is a holiday in Argentina and is my favourite one. Traditional meals, games and folk dances, among other things. Is so much fun. Congrats to you- what an honor. Thanks for the chance to win. My favorite holiday is actually Easter - less stress and expense than Christmas. My favorite holiday is Christmas. I look foward to eating yummy dishes and spending time with family. my favorite holiday is christmas, but i have a soft spot for easter candy! Just to be different, I think I like Memorial Day the best - a long weekend, fun food, the beginning of SUMMER! Does my birthday count as my fave holiday? If not, I'd have to say Christmas - I love getting together with family for a nice long break. Easter is a close second, though! Congratulations! My favorite holiday has to be Christmas. I just love all the traditions and the long break! My favorite holiday is Christmas. Not only are there presents and lovely decorations, BUT it is the birth of our Savior! And the presents, I love giving presents to people and watching them open them more than I like getting them myself! Last Christmas I made 90% of the gifts I gave! My favorite holiday is Halloween! I love the fallyness and the colors! Green, Orange, Black and Purple! It's the best. My favorite holiday is Halloween. I love the spookiness, the fall, the spark of the magic in the air that carries through to Christmas. It's also the day before All Saint's day which totally needs to be a more popular day in the calendar. More Dia de los Muertos, less...durge! It's so hard to choose! I love Easter and Christmas! My favorite holiday is Christmas because it's a whole season of merriment in all its forms -- food, gifts, music, decorations and parties. My favorite holiday is Christmas :)...thanks for the chance at what looks like a great book and congrats on your cute design being included! My favorite holiday would be christmas or thanksgiving..... or easter!! My favorite holiday is Thanksgiving, because it's the one that hasn't been eclipsed by commercialization, candy, presents and sort of creepy sneak-into-your-house-in-the-middle-of-the-night personas. It's just family, food, and conversation (and lots of dishes!). Thanks for the wonderful Giveaway and congratulations! My favourite holiday is Christmas. With Thanksgiving (Canadian) a close second. I choose these because they always result in family getting together. Hmm...I think that my favorite holiday would have to be Christmas. I always make wonderful memories and spend special time with family during that holiday. My favorite holiday is.... Christmas!!!! Congrats on your blog, love it! It was written in Portuguese, is that a problem? Thanks for the giveaway, my favorite holiday is Christmas. Love spending time with the family. My favourite is Easter - here in Australia it is also the beginning of Autumn / Fall at Easter time - we loving having Easter egg hunts in the autumn leaves! hard to choose but probably Christmas, spending time with the family. I loved Fa la la la Felt. My daughters and I made several projects from it. Heart Felt Holidays looks like it has some great projects! My daughters and I choose Easter as our favorite holiday. That is because it comes during Spring. We look forward to Spring every year. We love all the flowers starting to bloom and, of course, it is Chick season! We love getting new baby chicks from our hens. It is also seed-starting time with its' promise of a lush new vegetable garden. So we definitely vote for Spring. My favorite holiday will always be Christmas, but this book just happens to be coming out on my birthday! Also, for a college class in publishing I had to choose a publisher to publish a mock book I created, and I chose Lark crafts :) It was fun pretending I actually had a book, so congrats that you actually are in one! My favorite holiday is Christmas, because of the spirit and the love between people. Thanksgiving is probably my favorite, it's all about being grateful and taking stock of everything positive. Thanks for a chance to win a great book. Although I love all the holidays listed, I really do like the 4th of July. It's normally a low key day with my husband off of work. A cookout and then a walk down to the park for fireworks make it an altogether great day. Woohooo Mollie! Congrats. I love Christmas,but this year I seem to be gaga for all things Easter!!! My favorite holiday is Christmas, with Easter in a distant second, and anything else involving chocolate tied for third. lol. I love Halloween! And thanksgiving! Oh, I forgot to tell you that my favorite holiday is whichever one that is coming up! :)...but seriously I love Halloween best, and Christmas too!!! I posted about your giveaway on my blog! what a great giveaway! my favorite holiday is thanksgiving. i love spending time with family and it's my all time favorite meal :) thanks for the chance! Congratulations on getting published. My favorite holiday is Easter as it is a sign of rebirth and spring. My favorite holiday for crafting is Christmas but I also love the 4th of July because of fireworks and parades. Thanks! My favourite holiday is Christmas, it brings so much joy! My favorite holiday is HALLOWEEN!! I love getting dressed up! 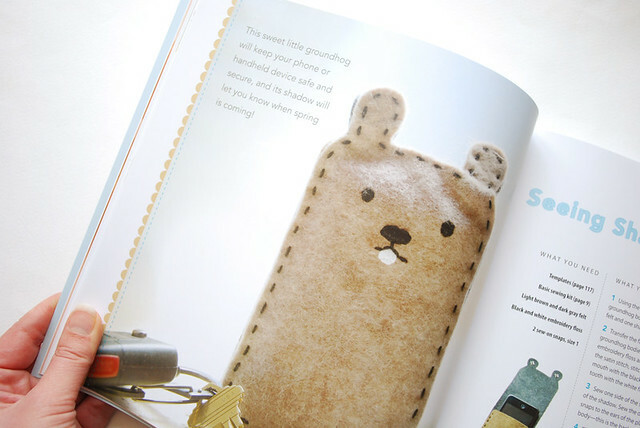 How exciting to have your cute groundhog pattern in the book! Thanksgiving is my favorite holiday since it's about sharing a meal with friends and family and is a great reminder to be thankful. Christmas is my favorite holiday since that is the time of year when my family is most all together. The tree, food, and music also add to the festive and fun times shared. This book looks fabulous, congratulations on being a part of it! My most favourite holiday has to be Christmas. It's just special. Does summer holidays count? If not, then easter because I get to bake and make gifts for others that are yummy/extremely cute! Mi fiesta preferida, y no sólo por la fiesta que es, La Noche Vieja. Esa noche nos quitamos el lastre de todos los problemas del año que dejamos y afrontamos el nuevo con fuerza y esperanza. El libro por lo que se puede ver es precioso. My favorite holiday is Christmas. I am new-ish to the Catholic faith and I never celebrated this holiday as a child. I was inducted 7 years ago. Now as a mother, it is such a wonderful thing to begin new traditions during the advent and Christmas season. Congratulations on your publication! Your project looks adorable! Christmas is my favorite holiday ever! Hands down. It may be cold outside(actually not much in FL) but everyones heart is warm inside. my favorite holiday is Halloween, with Easter a close second. congrats on the book... it looks adorable! Memorial Day because its the beginning of Summer! My favorite holiday is totally Christmas! It's in winter and magical. My favorite holiday is Halloween. I love to sew costumes for my girls! Congratulations on your contribution to the book, your phone case is darling. My favorite holiday is Christmas, I love the spirit of giving. My favorite holiday is Christmas, and all of the magic leading up to it! I love Easter because all the bunny decorations come out to play. So cute! OHHH!!!! I LOVE Halloween! I always make my costumes from scratch. I would have to say Christmas. It was the only time of year that no matter what had happened everyone was happy. ^^ my favorite one is Christmas!! Christmas is my favorite holiday- with Valentine's Day coming in as a close second place. Growing up, Valentine's Day wasn't about chocolates and cupids, but sharing love in our family with one another. It was a "celebrate our family" day. It still is. Ohh that looks like a great book. My favorite holiday is probably Christmas with Halloween a close second. My favorite holiday would have to be Christmas! My favorite holiday will always be Christmas. Love that groundhog! 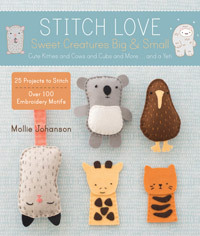 It would be such a treat to win this adorable book. congrats on being published! and thanks for sharing a copy of that sweet book in a give away! I love Christmas! We roast a pig and have Cuban side dishes with our big family. Between the family, friends, food and libations, gifts are the cherry on top. I love most holidays...Easter, Valentine's Day, etc. b/c I love decorating for each one! But I most love Christmas b/c it's such a busy, fun, magical time of year. I shared on Funky Finds' Facebook page so other crafty types will know to enter! I love Halloween because we enjoy decorating our house!! My favorite holiday is christmas!!!! Speaking of love, I'm already in love with this cute book! Christmas is my favorite. It is when we take time out of our busy lives to think of God and others. My favorite holiday is Halloween and am always looking for new decorating ideas. Congratulations on being published, very exciting! Favourite holiday is Christmas! I love the cozinesss and the music and the decorations! This book looks adorable! My favorite holiday is Christmas, because it is one giant excuse to give everyone lots of presents! My favorite holiday is Chinese New Year because that's the only day in the entire year when I get to eat dau lau! Hard to decide- I love Easter and 4th of July. Both have good food, fun decorations and wonderful reasons for celebrating!! What a sweet book! My favourite holiday is probably christmas - can't beat the spirit of the season! I also tweeted this giveaway @Ulixis.